Garton Jones Real Estate are the on-site agents opening our 4th Central London office and possibly our most glamorous!! here at 9 Albert Embankment. Specialising in the sale, rental and property management of the 1, 2 and 3 bedroom apartments & Penthouses in this sought after development located on the banks of the River Thames. 9 Albert Embankment was originally built in the 1960’s and was home to the iconic Decca Records label. The building was re-developed by Berkeley Homes into a mixed use scheme of predominantly residential apartments, back in 2002 and boasts some 208 privately owned flats including 1, 2 & 3 beds and fabulous penthouses and duplexes, many with sought after views of the River Thames and the dramatic and ever changing, London skyline. Forming part of the impressive Salamanca Square complex developed by Berkeley homes in 2000, 9 Albert Embankment sits directly facing the river Thames offering fantastic cityscape views from many of its apartments. Decca records originally commissioned the building as their head office in the company’s heyday. Berkeley Homes undertook the redevelopment in 2000 adding a number of additional floors and creating a vibrant mix of one, two and three bedroom flats with a high specification finish. 9 Albert Embankment was originally built in the 1960’s and was home to the iconic Decca Records label. Rather unfortunately Decca Records are often cited as being the label that turned down the Beatles. However Decca did sign up a great number of many successful artists including the UK’s answer to Elvis Presley, Tommy Steele. Perhaps less iconically, Decca sold the building to the reluctantly privatised British Steel company which was then bought out by Tata and the building sold for redevelopment. However there are no weak links in this development as it has firmly established itself as part of the ongoing regeneration of the Albert Embankment and the surrounding area. Made up of one, two and three bedroom apartments there are approximately 270 residences in all including a number of penthouse apartments. A typical two bedroom property measures around 825 sq ft with two generous double bedrooms, one with en-suite, living room and kitchen. Hall storage and large windows make the maximum use of light and space to provide a practical, contemporary home. Catering to a mixed residency, 9 Albert Embankment and the whole Salamanca Square development appeals to owner occupiers and investors alike. Occupiers of all ages like its sense of ‘real London living’ with local pubs, supermarkets and green spaces all being within a few minutes walking distance. Young London-born professionals can enjoy the benefits of apartment living within the metropolis while remaining close to family and to the areas in which they grew up. Foreign Investors seeking a London base and London’s international residents will appreciate the security of not only the 24hr concierge service, but also the security of knowing they own a property in the zone 1 area of London with its extensive transport links in a covetable, central location. The Albert Embankment has been one of those few underdeveloped hotspots of prime London land that is now being recognised for its residential and commercial potential. As buyers queue up to be part of a savvy club that realise just how far the area has already developed and how much further it can go. A seven minute taxi ride in any direction will take you past some of London’s most iconic landmarks including; the London Eye and Tate Modern on the South Bank, and the Houses of Parliament and the West End over the Thames. More locally, a short walk towards Kennington will take you to a good selection of pubs and restaurants, from traditional London ‘boozers’ to more sophisticated gastro pubs and favoured restaurants of politicians. Chino Latino, a popular bar and restaurant in the Park Plaza Hotel just next door to 9 Albert Embankment means you can treat friends and weekend guests to good wine, food and a great atmosphere on the evenings you don’t feel like cooking. 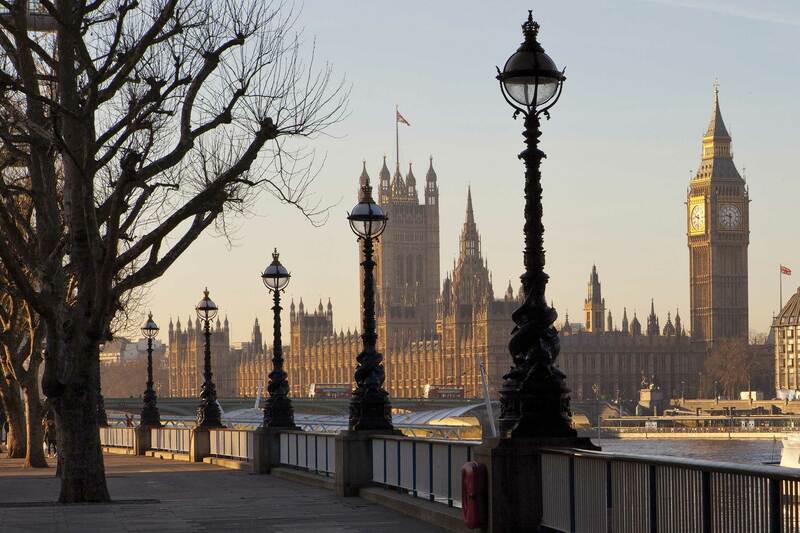 Vauxhall Station is situated at the end of Albert Embankment less than ten minutes walk away. Waterloo and Victoria Stations are also just a short bus or taxi ride away. All of which, being main transport hubs, allow access to other areas of London whether it be by bus or tube and also to destinations outside London and of course its international airports and the Eurostar. As such, 9 Albert Embankment appeals to those seeking a Pied-a-terre or holiday home investment. Life can sometimes be a little pedestrian from time to time, and so the need for Doctors, Schools and Hospitals are sometimes necessary. Luckily all of the above are in the immediate vicinity of 9 Albert Embankment. St Thomas’s Hospital is only a brief journey up the road and there is a very good medical centre in the St George’s Wharf Development. Police presence is often evident on the streets but should the need arise there is a police station in nearby Kennington Road. There are a number of good state schools in the area providing education to all ages and faiths, while going towards Westminster and Pimlico in SW1 or Dulwich in the South, excellent fee paying schools can be found.